The typical advice given on how to clean vinyl floors (VCT) useually involves an endless cycle of stripping and waxing throughout the year. 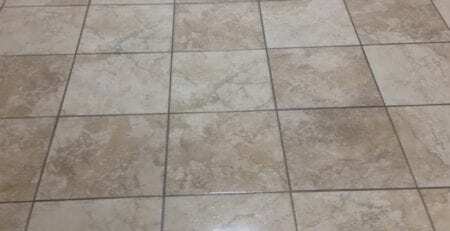 Depending on the traffic, you will be told that the floors needs partial stripping and recoating (a scrub and recoat) several times during the year. 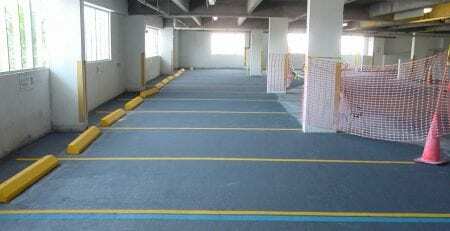 In addition the floor will need to be totally stripped once or twice a year and recoated with 5 or 6 coats of fresh wax. The whole process is messy, labor intensive, involves a high use of chemicals and costs owners many $1000’s per week, month or year! Whilst the cleaning industry might be very conservative ,floor cleaning technology has moved on and the next generation of cleaning products can save you at least 40% on you floor maintenance costs. 2) Apply floor treatment to protect the floor as part of the daily cleaning process. 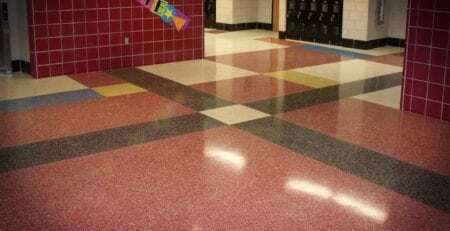 SurfaceTreat is new technology that allows you to deep clean dirt and discoloration but without floor stripping. This unique product penetrates, suspends and removes dirt without removing coating /finish. Chemicals open the floor finish and clean up to 4 layers deep. 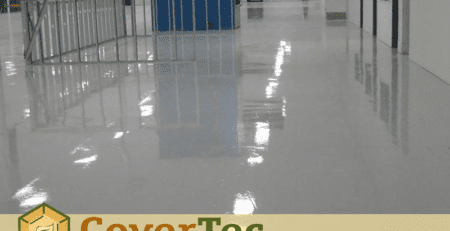 This technology comes from the pharmaceutical and skin care industry and is really quite revolutionary when applied to floor finish. For deep scrubbing and cleaning without stripping SurfaceTreat is diluted 8fl.oz per 1 gallon of water and used with a low speed machine or automatic scrubber to deeply cleanse the finish. Once the floor has been cleaned you can burnish it to bring up the shine. For day to day cleaning: Use in mop bucket or auto scrubber. Dilute 2.0 Fl.oz per 1 gal cold water and use any time floors are moped or scrubbed. For even better results clean your existing floors with SurfaceTreat and then apply 2 coats of CoverShield VS1 floor sealer. This will you get the equivalent of stripping and applying 5 to 6 coats of wax in half the time and a much lower cost!